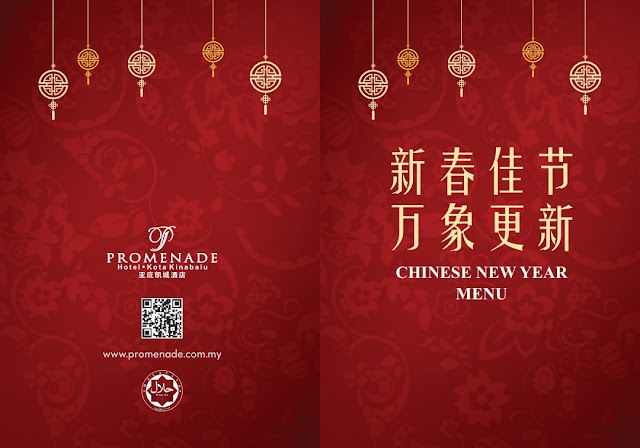 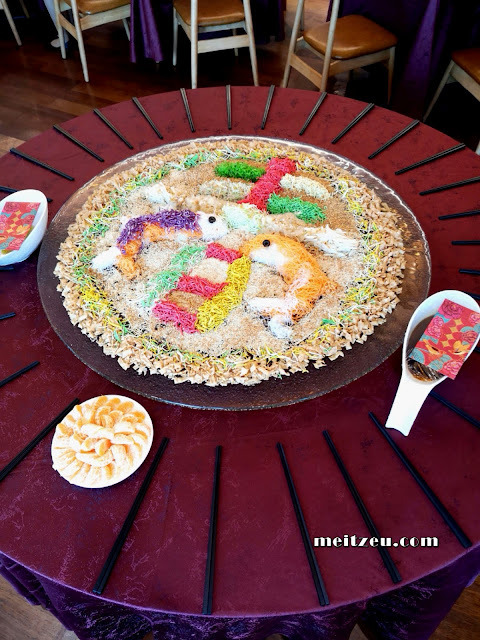 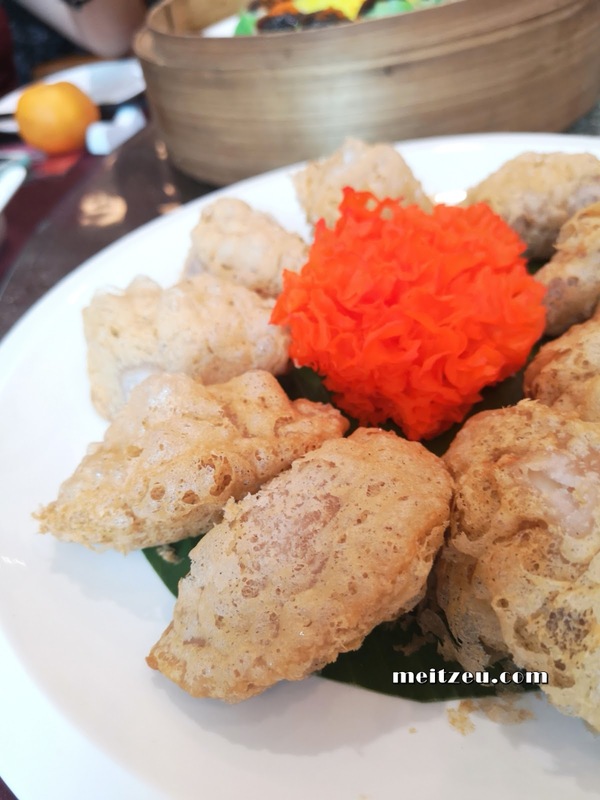 CNY Series : Good Fortune Dim Sum and Yee Sang with Promenade Hotel Kota Kinabalu! 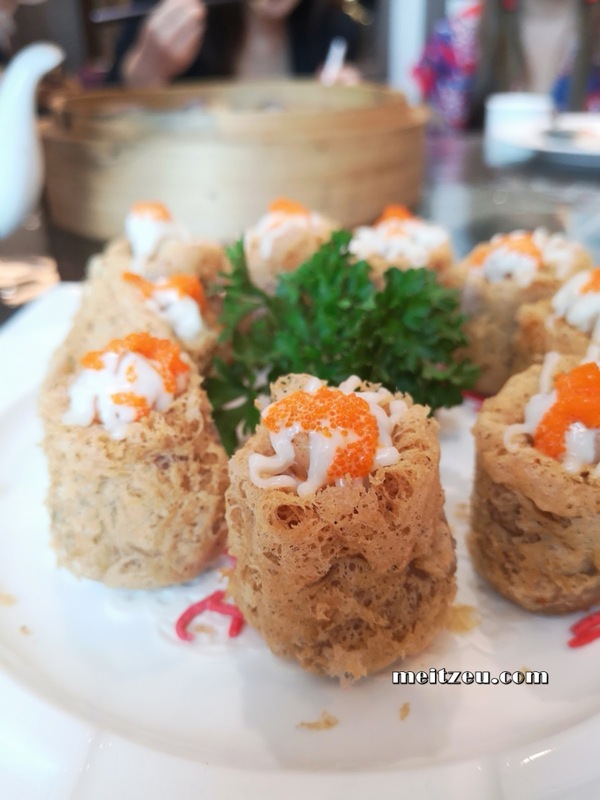 We were invited for a lunch at Dynasty Chinese Restaurant (皇朝中餐廳) by Promenade Hotel, a Halal certified restaurant of the hotel. 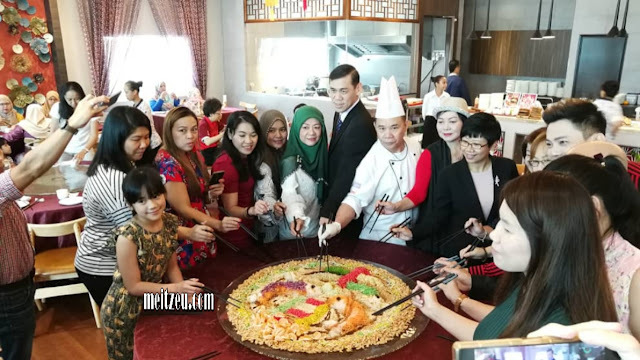 The lunch was also attended by various local and international artiste who are performing in the Hotel’s Annual Chinese New Gala Dinner at its Rafflesia Grand Ballroom. 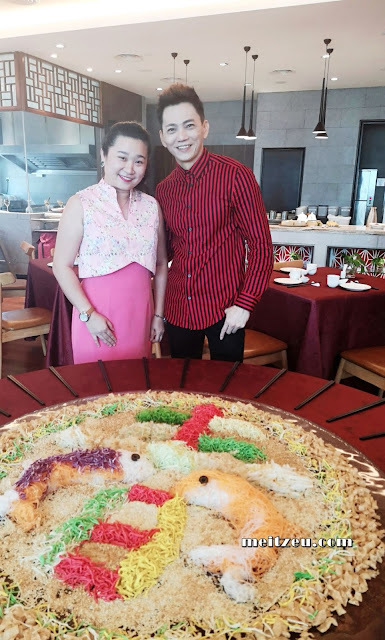 Include our renown Emcee of the night - Tenom-born Sabahan Wesley Liew Kuok Yit (刘广艺) who won Most Popular Award and 4th placing in the 18th Astro Classic Golden Melody Singing Competition (经典名曲歌唱大赛) and Internationally acclaimed Child Performer - Ms. Fatimah Noryyah (法蒂玛诺雅)from 2018 Lets Sing Kids Season 5 (中国新声代第五季) . 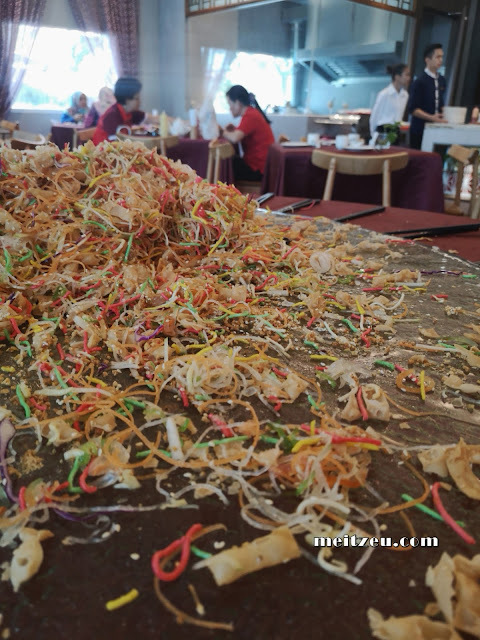 Chinese New Year celebration is never complete without the partaking of the traditional auspicious salad dish known as ‘Yee Sang’. To kick start the Year, Promenade Hotel Kota Kinabalu shared a customary tossing of ‘Yee Sang’ session with members of the press before indulging in a tantalizing medley of Must-Try festive dishes specially prepared by the Hotel’s Executive Chef Alvin Tan （陈書淵 ）& his team of Master Chef’s. Due to its past overwhelming response, Chef Alvin & his team will continue to serve this year’s ‘Yee Sang’ condiments with healthy Olive Oil (采用健康橄榄油的鸿运鱼生) usher in Good HEALTH, Fortune, Luck, Wealth and Longevity throughout the year. 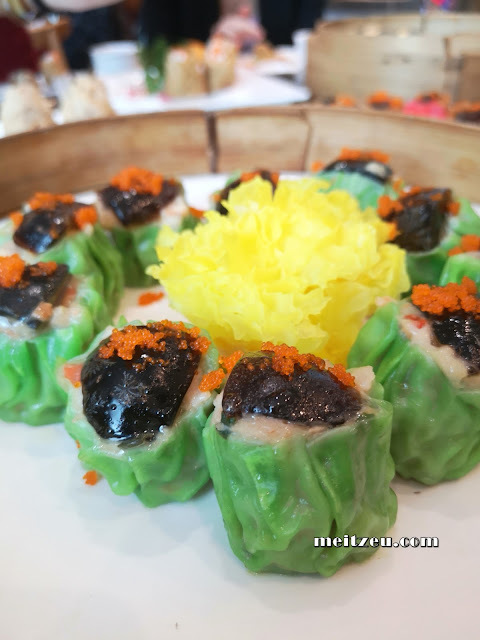 Besides the Healthy Prosperity ‘Yee Sang’, which is available for takeaways until 19th February, the media were also given a chance to sample NEW Must-Try range of Dim Sums that will be made available throughout the Chinese New Year. 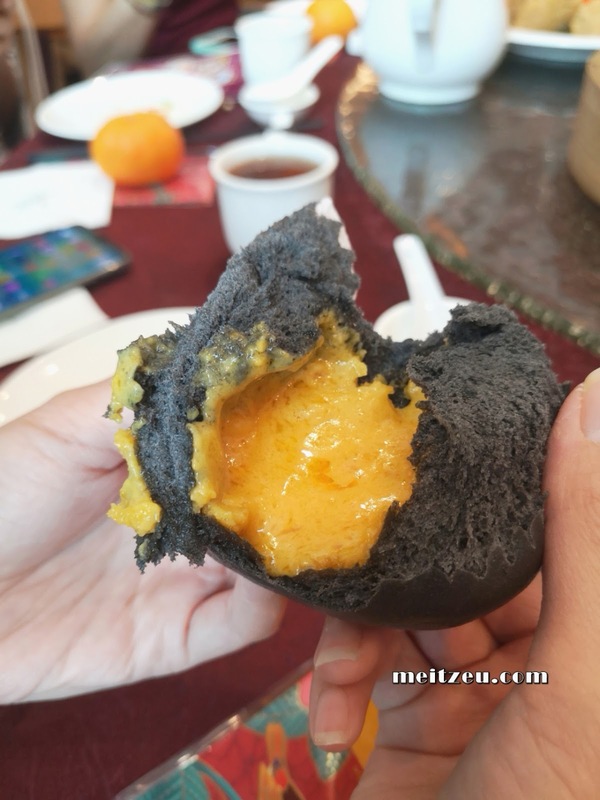 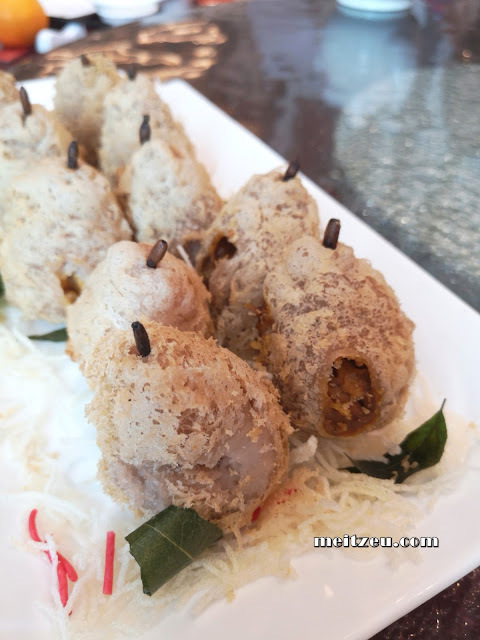 The list of highly recommended NEW Dim Sums by Dim Sum Chef Arthur Chew Foo Chung (周富忠) are Steamed Century Egg Dumplings（古早皮蛋卖）, Deep Fried Yam Rolls with Scallop（芋蓉带子卷） , Steamed Charcoal Buns with Salted Egg Custard Filings （竹炭流沙包） , Steamed Oyster Dumplings with Sea Moss (蚝仕发菜卖), Steamed Chicken & Smoked Duck Dumplings（鸡肉烟鸭饺）, Chicken Curry ‘Yam Kok’(咖哩芋角) & ‘Nasi Lemak’ Yam Kok (椰浆饭芋角) . Available during Ballroom Dim Sum from the 1st (年初一) to the 6th Day (年初六) of the Chinese New Year from 7.30am – 2.30pm. [In Rafflesia Ballroom from 5th – 7th January 2019 and in Dynasty Restaurant from 8th – 10th January 2019]. 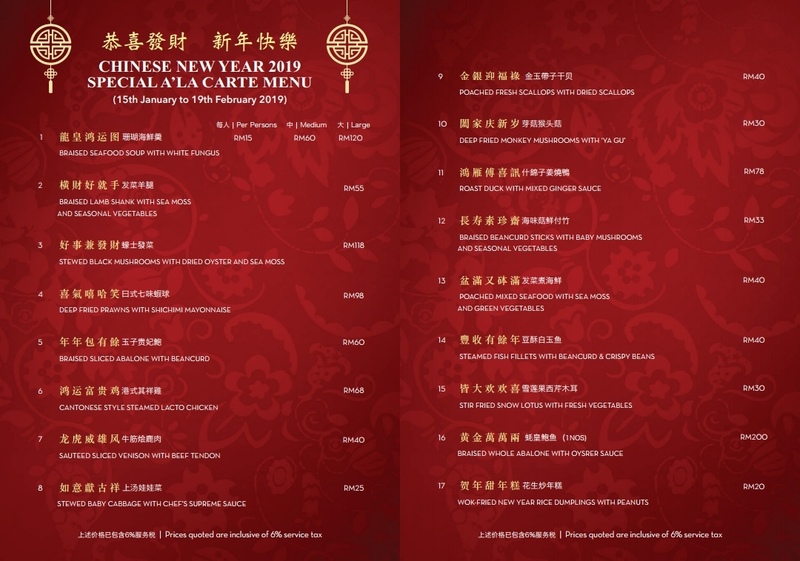 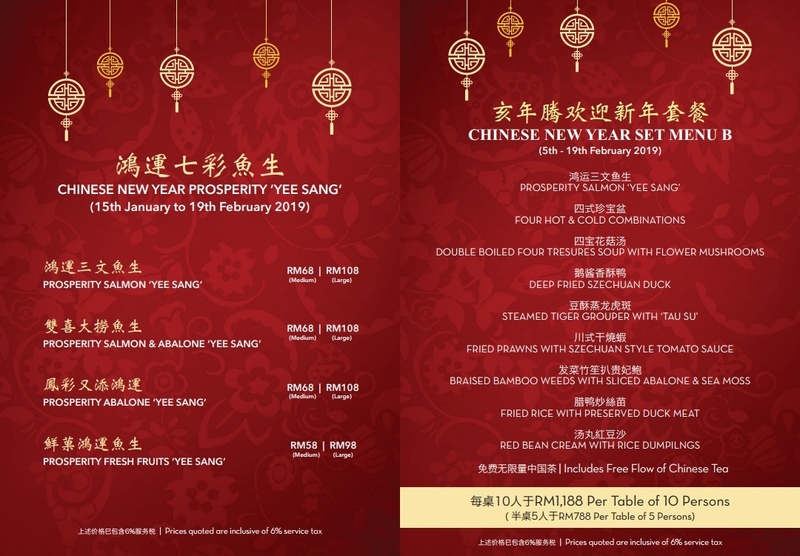 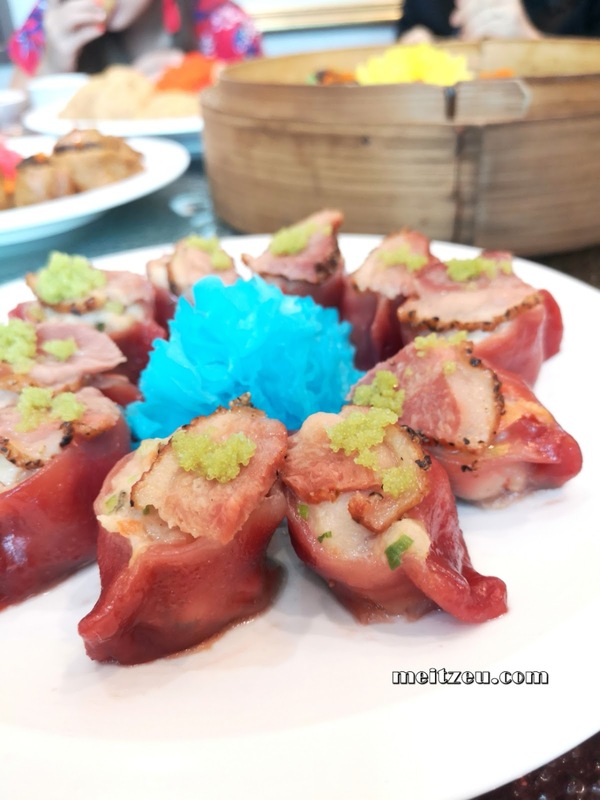 The hotel’s Halal Dynasty Chinese Restaurant (皇朝中餐廳) is also serving Prosperity Chinese New Year Set Menus with a choice of RM688 or RM888 per table of 5 persons and RM1,188 or RM1,688 per table of 10 persons. 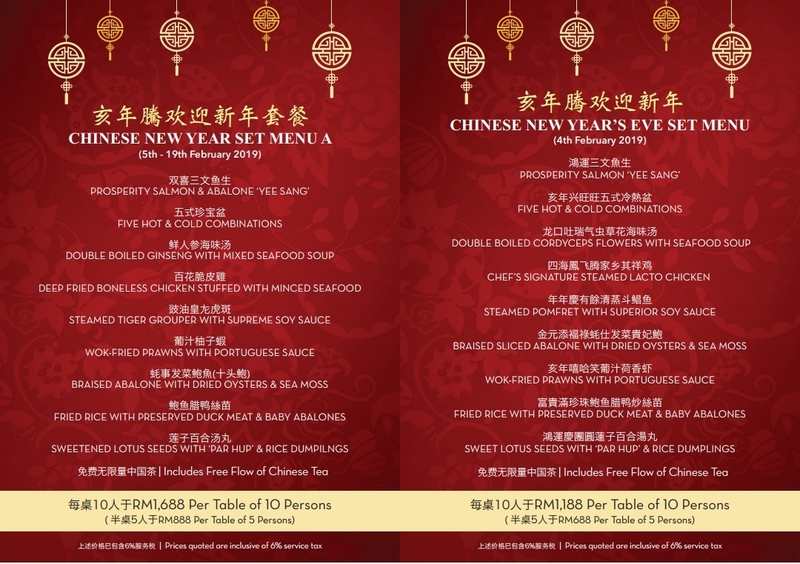 For diners, who wish to select own choice of dishes, Dynasty Restaurant also offers delectable selections from its Special Chinese New Year Ala Carte Menu – which is available until the 15th Day of Chinese New Year (‘Chap Goh Mei”) on Tuesday, 19th February 2019. 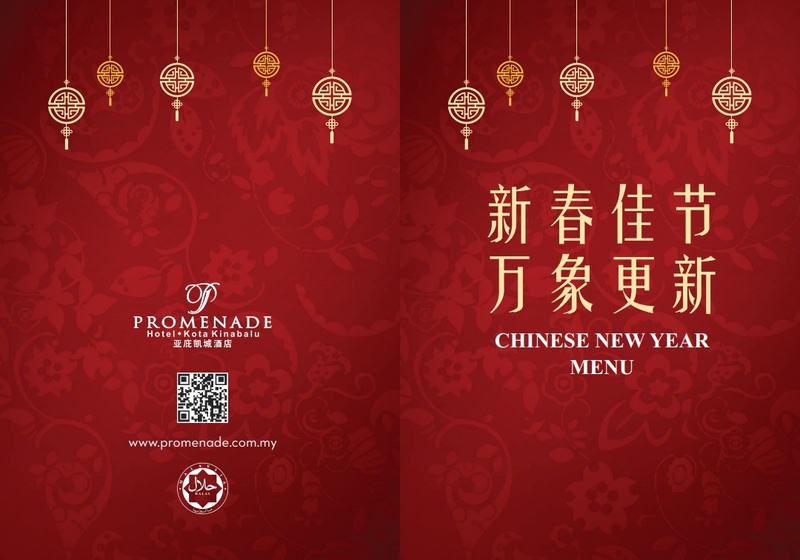 Promenade Hotels & Resort Kota Kinabalu.